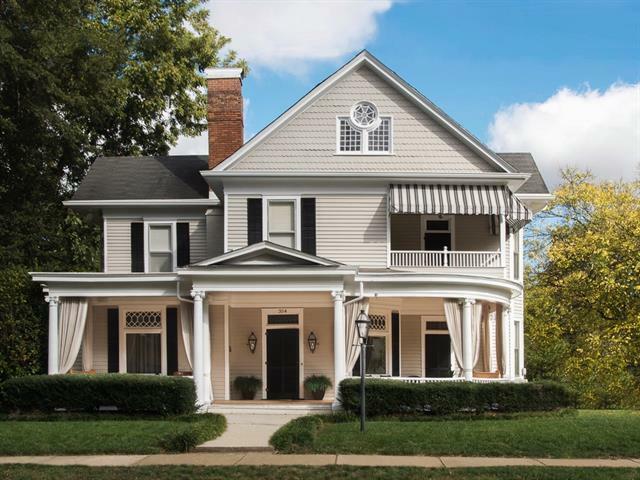 Featured in the National Register of Historic Places, this exceptional 1906* Queen Anne has an elegant facade with a wrap-around porch graced by Bevolo gas lanterns. Authentic architectural details, generous rooms with 11' ceilings, bay windows, stained glass, hardwood floors, intricate woodwork & wainscot & original fireplaces. Extensive renovations provide modern updates including chef's kitchen w/Carerra marble & custom built-ins. This showplace offers 4-6 bedrooms, 4 baths, media-friendly family room, sunny porch overlooking large private backyard. Stunning MBR suite w/private balcony. Storage options in large basement w/attached 2-car garage...& so much more! In the heart of Oakwood, this immaculate charmer is a short stroll from downtown Farmer's Market, restaurants, shopping & Oakwood Elem School. Grand gem for the discerning buyer seeking modern sophistication with solid, quality construction. Embrace the prestige & joy of living on Hickory's Sixth Street NW.